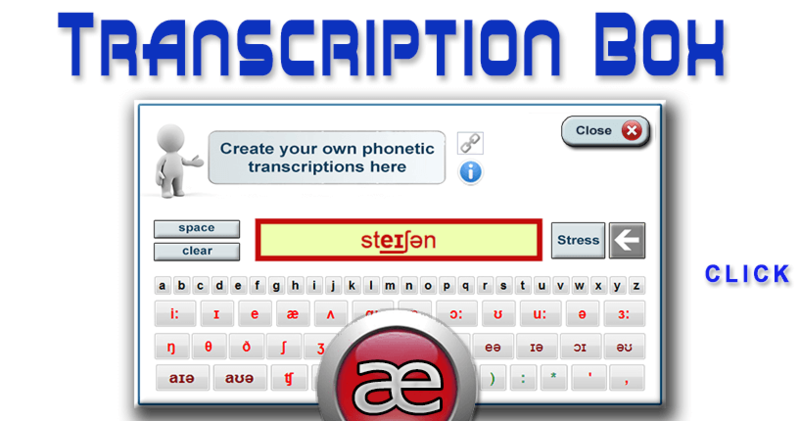 With M-E Transcription Box, producing phonetic transcriptions in English is extra simple. Just type the sounds with our phonetic keyboard and then copy the transcription using your mouse right-click or the key combination Control+C. Then go wherever you want your transcription to be and paste it there with the key combination Control+V (if you are on a Windows based computer).